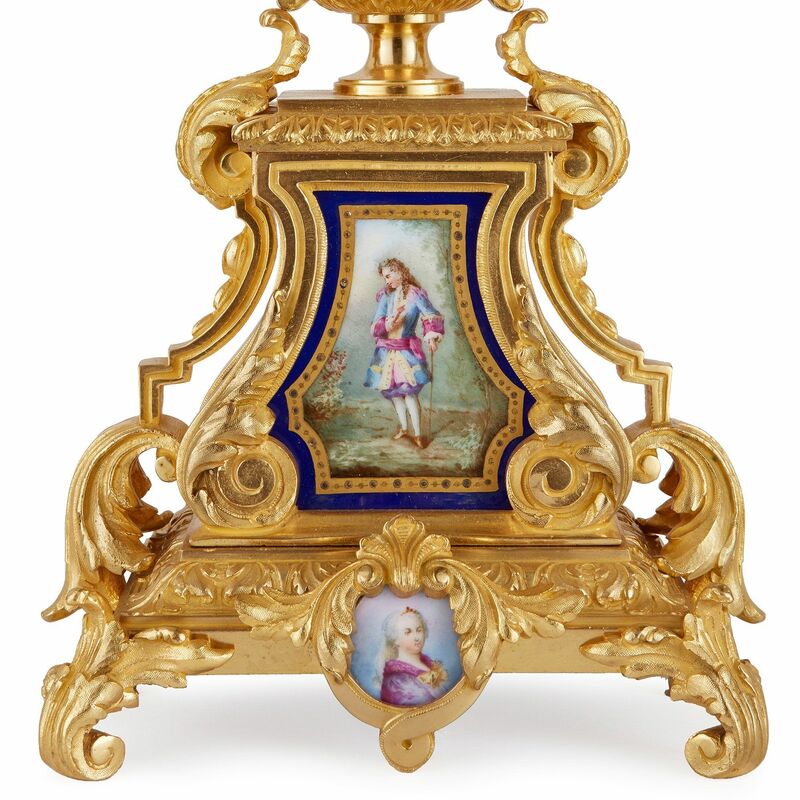 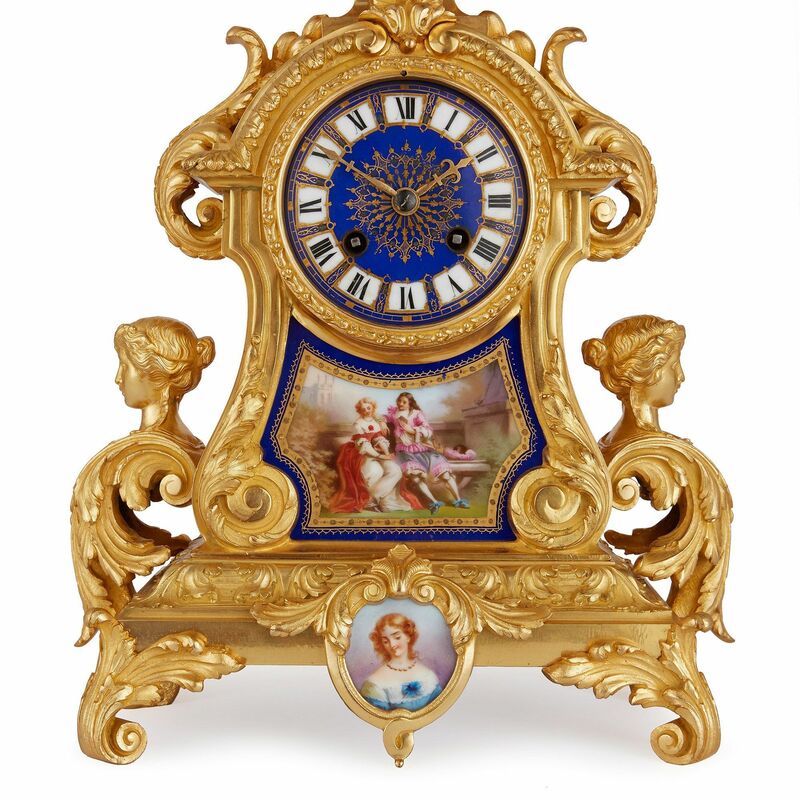 This antique French clock set, featuring delicately painted scenes of romantic courtship, would make a beautiful gift for those with refined tastes. 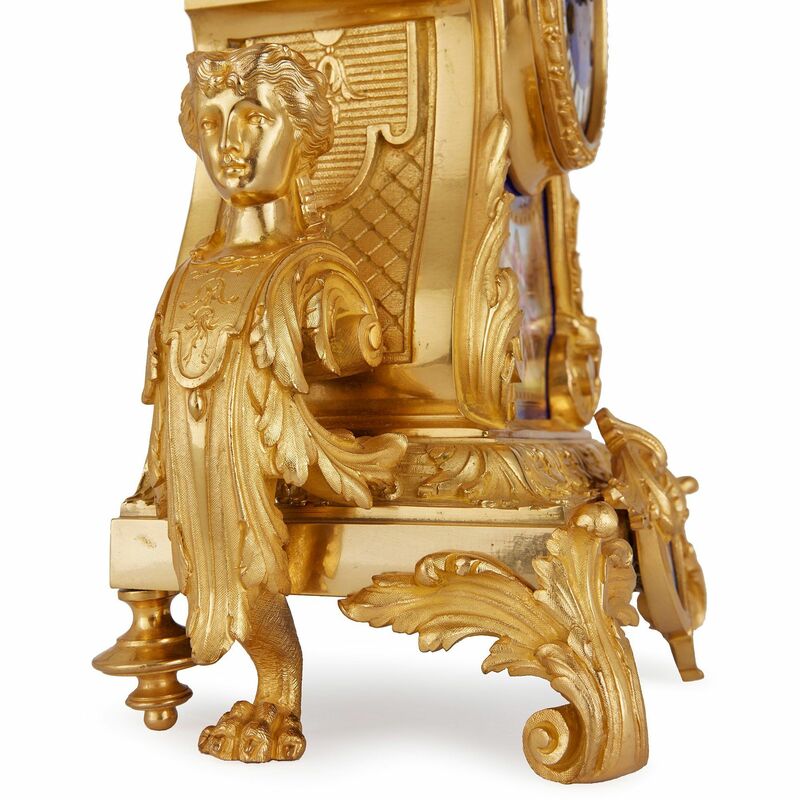 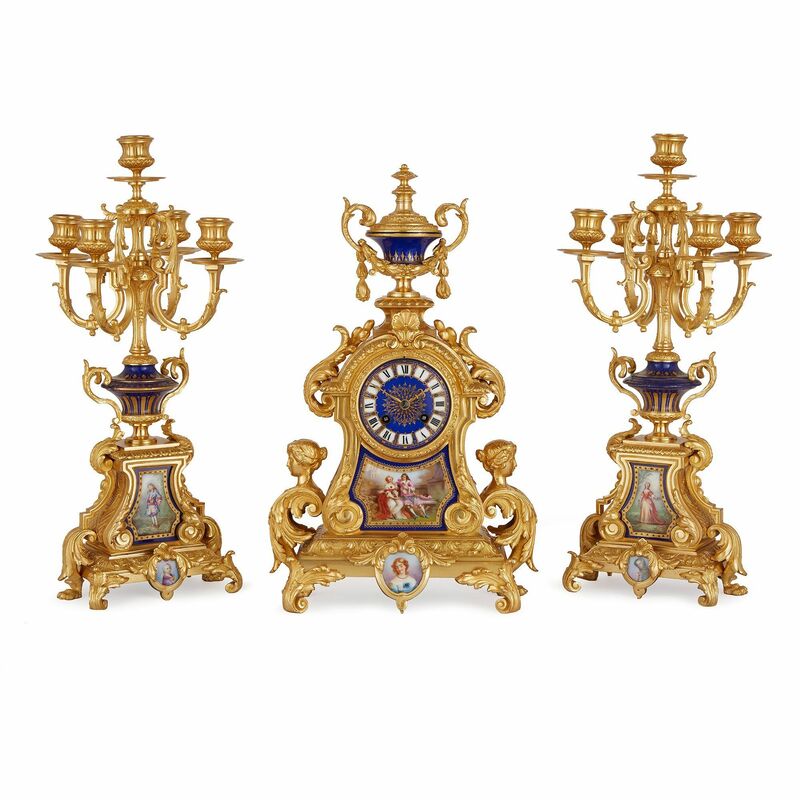 The set comprises a central clock and a pair of flanking candelabra. 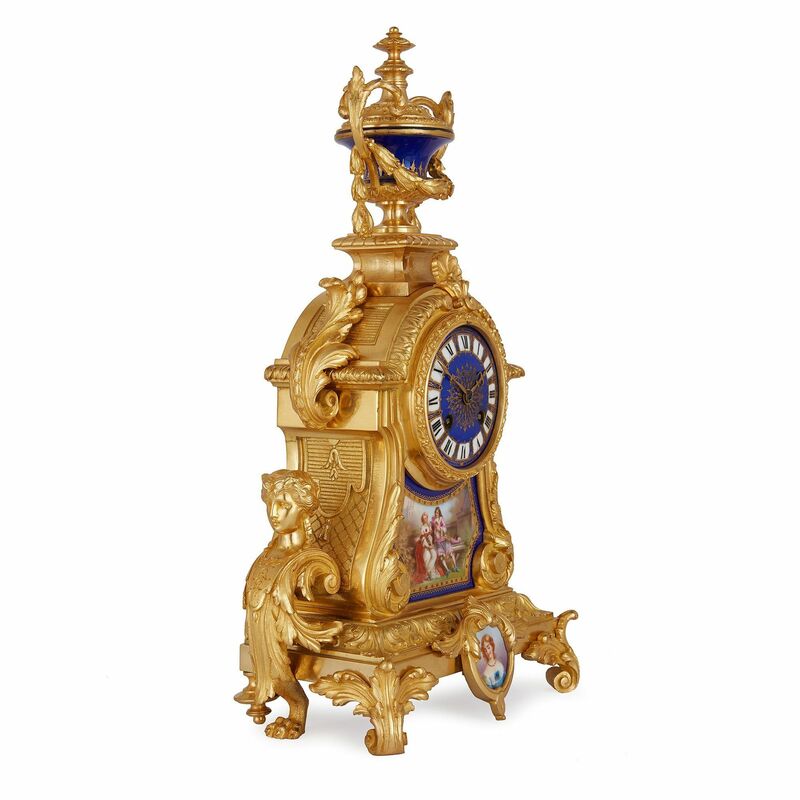 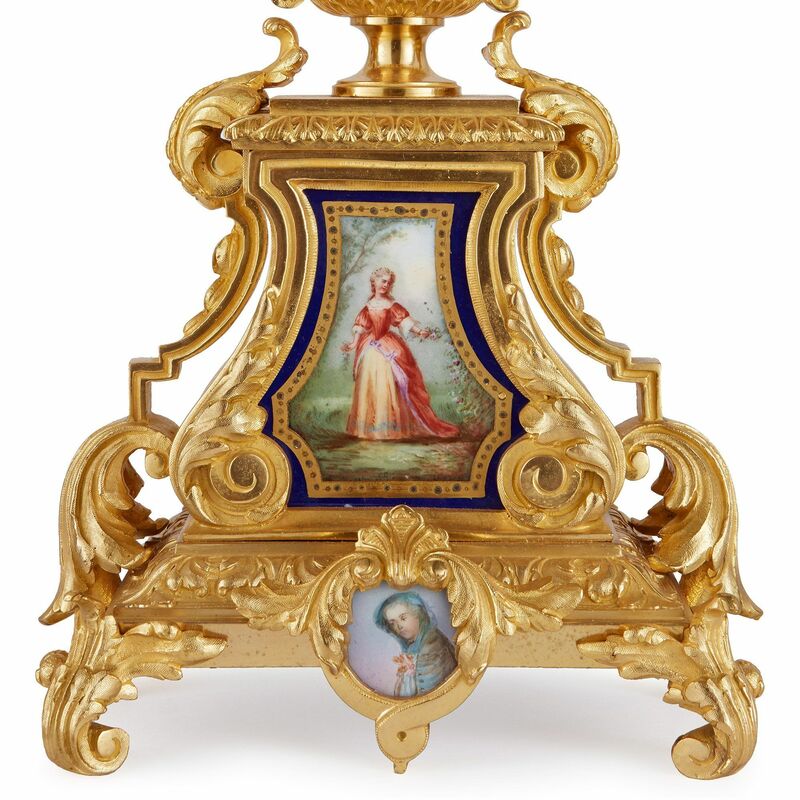 The clock's central circular dial is made from porcelain, within an ormolu case set with two lower central porcelain panels, a vase surmount and two flanking female busts either side. 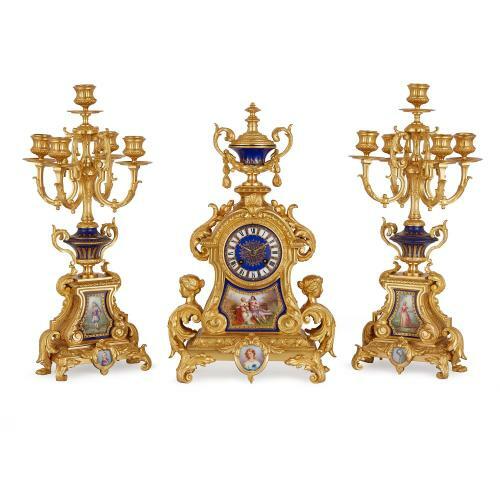 The pair of five light candelabra are similarly decorated.